Considering the rawking Scorpions reference in the title, this lovely bit of news from Power Gig should strum all the right heart notes among serious guitar-game aficionados. In a strategic effort to do the Rock Band and and Guitar Hero franchises one better, Seven54 Studios have got Power Gig: Rise of the SixString in stores now to electrify the masses with a musical gaming experience without compare. The ace up their sleeve is a guitar remote that’s the closest to the real thing, ever. The clincher is not only is the PS3/Xbox 360 game currently available with music from the likes of Eric Clapton and Kid Rock, but a separate wireless guitar controller can be had via PowerGig.com for just $249.99. Sweet, we say. 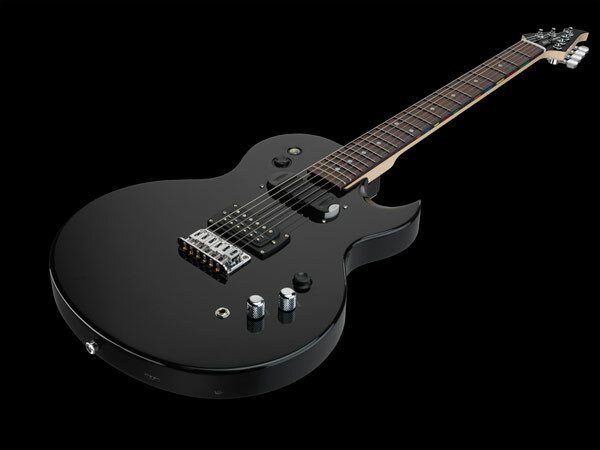 What elevates the wireless guitar controller way above the competition is it’s a real guitar that’s compatible with an amp. This means you really do get to hone your music chops and nurture the rock god within you armed with one of these. Did we forget to mention that it looks evil too? We eseech ye gods of rock n’ roll that a full fledged flying be the next model to e available for purchase. That would be the height of radness.